The American Red Cross has an emergency need for blood and platelet donations. Blood donations have fallen short of hospital needs for the past few weeks, partly because of the normal lull in donations during the time after the holidays, and partly due to the winter weather that slammed the Midwest last weekend. And with another storm predicted for this weekend, American Red Cross Joe Zydlo (ZID-low) says there's good reason for the emergency designation. 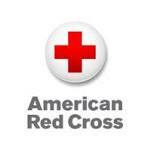 Donation appointments can be quickly and easily scheduled by calling 1-800-RED CROSS or by going to redcrossblood.org.